This is a lovely case. For the ones that don’t know what ‘lovely jubbly’ means – it means ‘Excellent’. Another happy patient! One of the most ideal ways for any dentist to reach out and connect with patients is through having a reputable dental website. This is especially in the current days where most patients search for information about various conditions and treatment options online. However, there are many dental websites and not all them are convincing to the patients. Some of these websites lack important aspects and hence patients who come across them do not fully trust the information contained on such websites. But there are other dental websites that are very convincing and reputable to any patient who might visit them. Therefore, it is paramount to know what makes a dental website reputable in the patient’ eyes. Amongst the primary aspects that make a dental website reputable in the eyes of the patient is having detailed and well explained information. Most of the patients who are likely to visit a dental website do not have the necessary dental education and hence they need to get well detailed information. The information should be well explained and simple without using sophisticated medical terms which can confuse the patients. Where it is hard to explain using simple words, it is advisable to use well marked diagrams. The accuracy of the information contained in a dental website is also paramount in making the particular website reputable to the patients. This is attributed to the fact that the patients are likely to cross check the accuracy from other sources. If a patient finds that the information contained in a particular dental website is not accurate, there is likely that the patient will not visit the website again and will also not hire the particular dentist. Therefore, it is better to have small quantities of accurate information rather than having thorough articles with few facts. Another quality that makes a dental website reputable in the patients eyes is being attractive but formal. Most patients expects to find serious and accurate details in a dental website and hence they expect the details of the website to be formal. However this should not mean that the website should be dull and unattractive. Instead, the website should have attractive colors and illustrations which are meant to catch the patients’ eyes and keep them entertained. But it is not advisable to use a lot of attractive features which can readily make the patients think that the website is informal and does not have serious information. Therefore, a reputable dental website should only have the necessary features which can attract the patients without making the website look informal. My advice is always to check the dental testimonials in the thematic websites, Google Facebook and Yelp. Social media has conclusively proven to be an all-pervasive aspect of contemporary living; it would be a daunting task indeed to identify even a small part of our world today that remains uninfluenced and untouched from the its reach. It has thoroughly permeated in to our lives and fundamentally altered the manner in which we communicate and interact: with people known and unknown. In addition to impacting the lives of individuals, social media has evolved into an expansive forum for businesses and independent professionals across sectors. Social media forums, more particularly, Facebook, have become an undeniably powerful and indispensable tool in the creation of an individual’s or business’s brand image. Dental practices have started to relinquish traditional modes of advertising and marketing and are reaching out and generating awareness in the local community through social media forums. This could seem like an arduous task to the uninitiated; creating and maintaining a social media community reaps far too many benefits and is worth the investment. 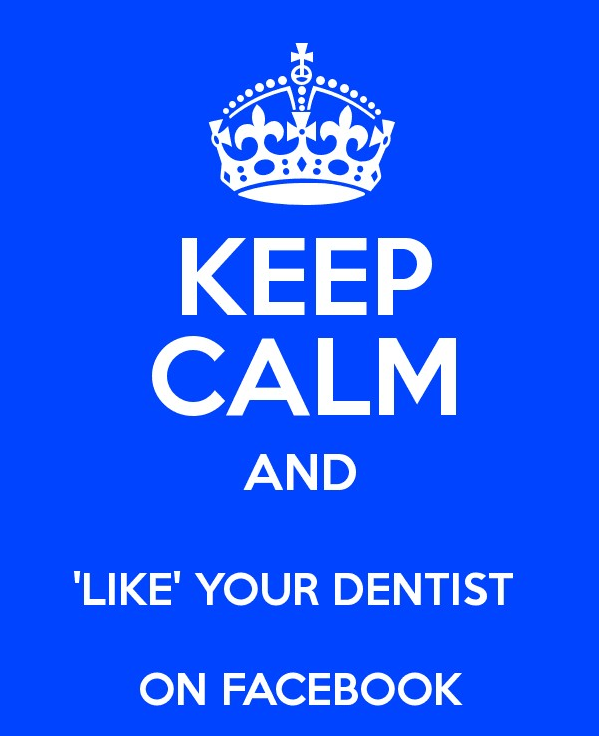 Allow me to guide you on how to market your dental Facebook page: here are some of our recommendations. First Stop, Facebook: Dentists could reach out to their existing patients to seek their suggestions with respect to your newly set up page. One need not be shy while asking patients or friends and family to “Like” your page; a recent feature on Facebook, known as Graph Search, permits people to search pages liked by their friends, effectively magnifying their impact. Interaction vis-a-vis Visibility: A fair number of people that “Like” your page surely enhances visibility; but it’s actual interaction with the community that builds brand affinity. It’s crucial to have a consistent presence, yet one should be careful of not posting content too frequently. Selective Content: Content posted on the dental clinic’s page, should always be relevant to your brand as a person, a professional and your dental practice. Social media facilitates your personality to shine through and allows new, old and potential patients to have a holistic understanding of you and your dental practice and what makes it uniquely credible and trustworthy. Clear Strategy: Identify and remain consistent with your marketing strategy; determine the kind of content (updates in the dental world or informative write ups or oral health tips) that should be posted, their respective frequency and the team member responsible who’s responsible. Patients, tend to be vocal about their ailments over social media. 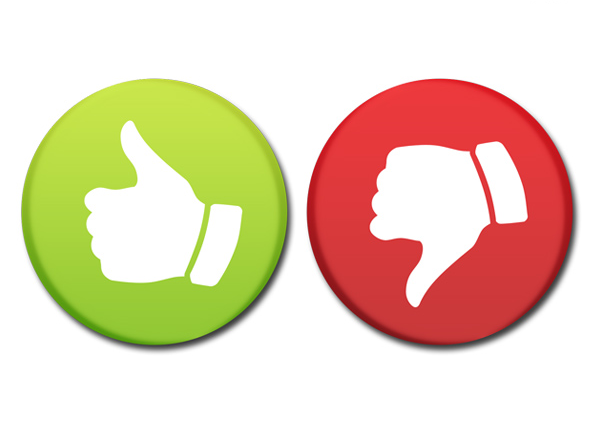 Any negative feedback or opinion should be dealt with promptly and effectively instead of being ignored. You could encourage people to reach out to you for information or little guidance, if they so require: non-patients should also be welcomed. An approach such as this, lends credence to an image of reliability and genuine concern for patients. Go Offline: Ensure that your newly minted stationary has a mention of your social media dental page. Add a Facebook badge to your website leading them social media account. Other stationary such as business cards and appointment reminder cards should bear a mention of clinic’s presence on Facebook. QR Codes: Quick Response codes are everywhere these days! They are rather easy to create and given their compact size, convenient to be placed on print advertisements or brochures you hand out to patients. QR codes can be scanned by smart phones/tablets and allow the user to directly access the respective website; in this case link to social media account. Loyal patients can be requested to share a link of your dental page on their respective FB page; this would certainly be effective in expanding your visibility, but explore the option only if you’re comfortable with it. Finally, try to keep in mind that any form of communication, such as emails or newsletters, are an opportunity to garner more visibility for your dental practice’s online presence and you should make the most of it, wherever appropriate and feasible. In this post I will put all the funny dental pics that I come across. 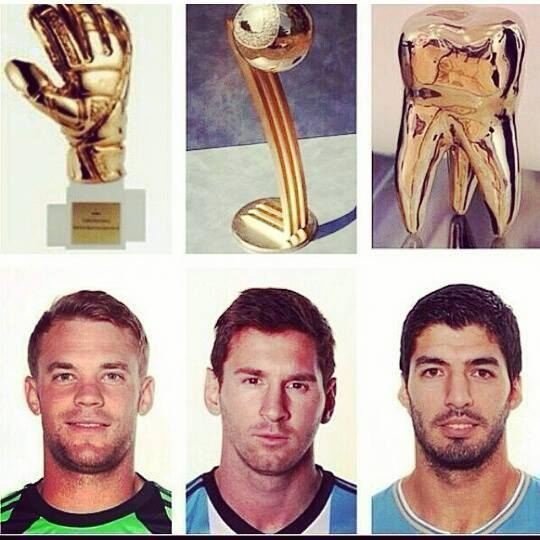 Dentistry might be an extremely serious profession but it also has a bright side. Let’s start with some dental humor and see where it will take us. In this article I am going to explain more details about a special type of a dental bridge – the Maryland bridge. Basically a dental bridge is a form of denture that replaces missing teeth. 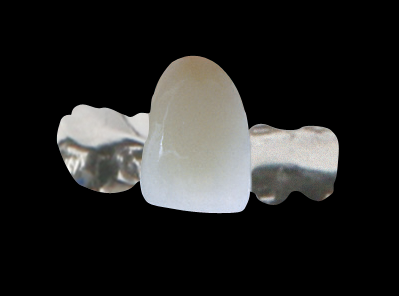 The surrounding teeth are used as an anchor and provide stability of the whole structure. In between we have the false teeth or so called the pontic. The Maryland bridge is a commonly used type of a dental bridge. Most of the dentists prefer to use it as a temporary bridge while doing their implant work. What makes the Maryland bridge so popular among the implantologists? It has plenty of advantages. It needs very few adjustments and it is very easy to place. 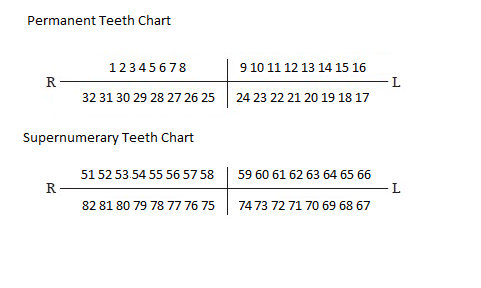 It is very conservative method of replacing missing teeth which means you don’t have to remove any healthy tooth structure. You just have to roughen the surface of the surrounding teeth, etch the surface, bond and place composite resin cement to bond it ot the teeth. A placement of a Maryland bridge takes around 4-5 min. The Maryland bridge consists of two wings made of cast metal. The wings are like a framework and have little gaps where the cement flows in. The flowable composite cement bonds to the etched enamel surface so no burs are needed. 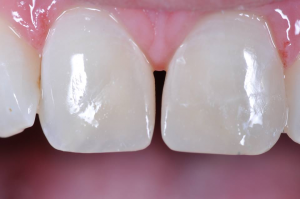 The only thing a dentist may do before placing a Maryland bridge is to polish the enamel surface of the tooth. That can be done by blasting it with aluminium oxide powder or using dental polishers. The procedure eliminates the risk of experiencing tooth sensitivity. The false tooth or the pontic is just between the two wings. It can be made of acrilyc or porcelain. The upside of the ceramic Maryland bridges is that they are more esthetic. However if the gums start to recede (which oftenly happens after a tooth extraction) you may end up with a gap between the gum and the pontic. Ceramic material cannot be added to the pontic. When you have an acrylic Maryland bridge more acrylic may be added to the false tooth in order to close the gap. This is especially important while working in the esthetic zone – upper incisors, canines and premolars. The Mariland bridge can be used as a definitive treatment as it is much cheaper that an implant. 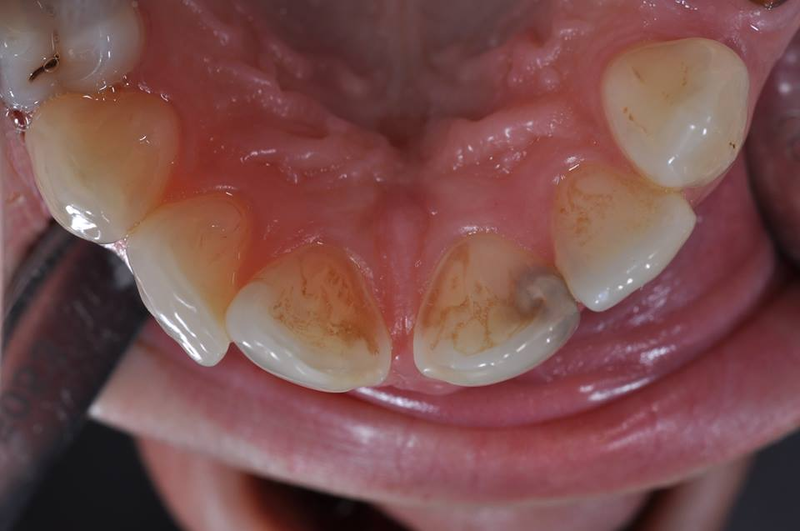 Replacing lateral incisors with a Maryland bridge works just perfectly. However it cannot be used in the molar region for a long time. 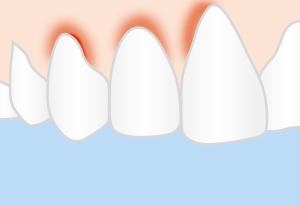 The occlusal forces will make the bridge debond from the surrounding teeth. Most of the dentists use this resin retained bridge as a temporary before placing the abutment and the crown over their implants. The patients do not leave the dental office with a gap and nobody can see that they have missing teeth. 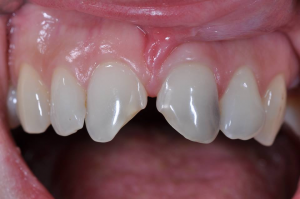 The Maryland bridge is easy to remove in order to evaluate the healing of the gum below and to uncover the placed implants. After the debonding of the Maryland bridge it can be bonded again following the same procedure: roughening the enamel surface, etching, bonding and placing the composite cement along with the bridge. Curing with the light cure lamp depends on the type of the composite cement used (usually 10-20 seconds). The periodontal abscess is a dental condition which has an infectious etiology. A periodontal abscess can occur at various locations in the mouth like vestibular, alveolar, lingual or palatal. 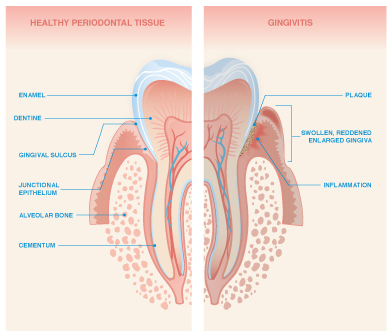 Individuals undergoing periodontal treatment or did not undergo any treatment for the periodontal problems are most prone to the periodontal abscess. 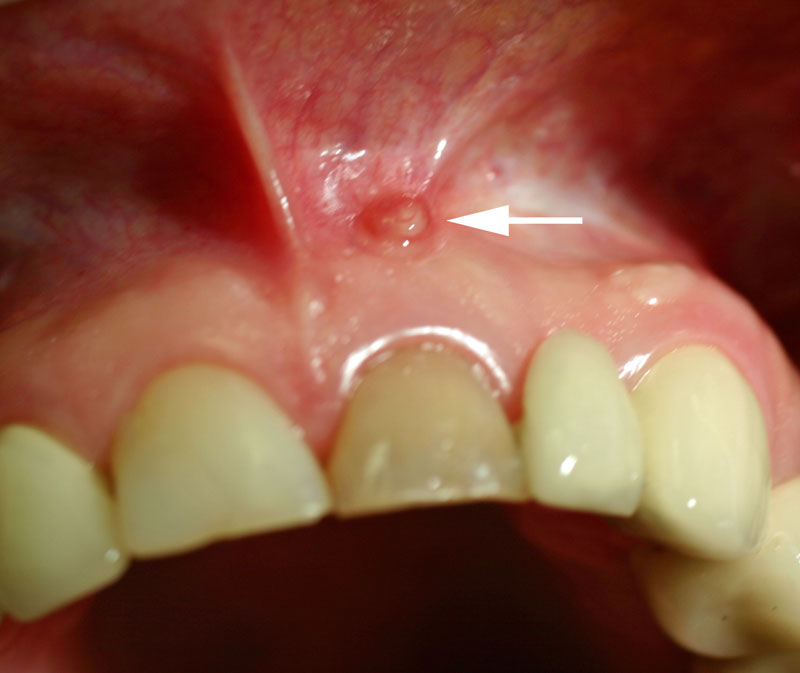 In the periodontal abscess, there is actually an accumulation of pus in the periodontal tissue. The gums of the patient appear to be swollen and lightened in color than the coral pink which is the actual color of the gums. 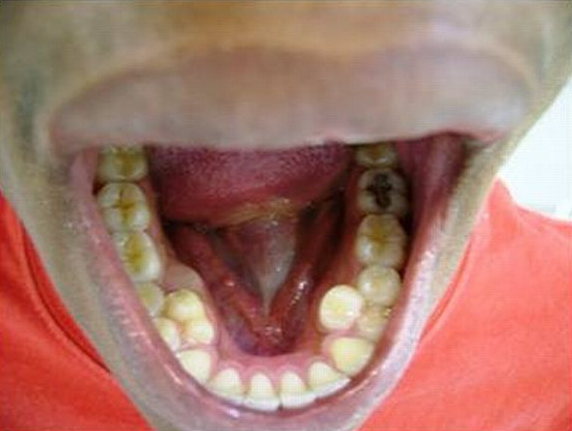 Due to the infection in the periodontium the gums start moving away from the teeth. There is a destruction of tissues and bone around the teeth which makes the patient’s dental health deteriorate if timely treatment is not done. 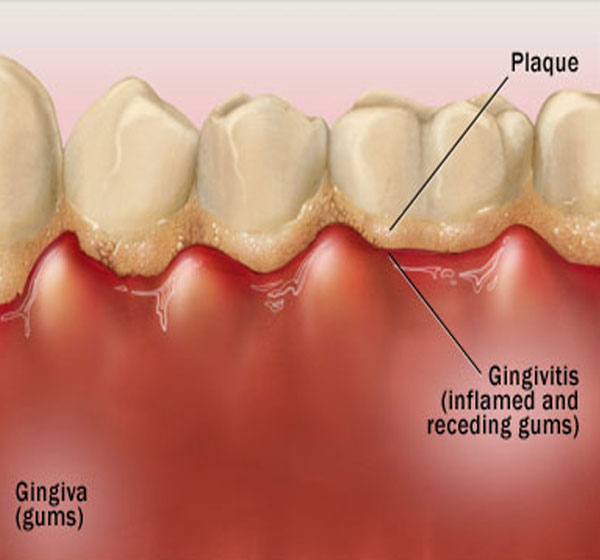 Like every dental disease, periodontal abscess also has a set of causes which should be known in order to prevent the occurrence of the disease or to find out the disease etiology. Usually the bacteria causing these conditions are present in the mouth but they do not cause dental diseases. When certain conditions appear these bacteria affect the periodontium. When an affected tooth is not treated by the dentist, then it can develop further and cause periodontal abscess. So it is always said that if you have any dental problem do not hesitate or procrastinate to consult your dentist as this can save you from attracting various dental complications. Thus, patient education should be emphasized by the dentists so that they understand the importance of getting treated. Poor oral hygiene is one of the major causes which lead to the occurrence of the periodontal abscess. When you feel pain irritation in the gums or uncomfortable while eating or drinking then make sure that you consult a dentist. For the periodontal abscess it is very important to evacuate the pus and medicate the patient with wide spectrum antibiotics and pain killers. 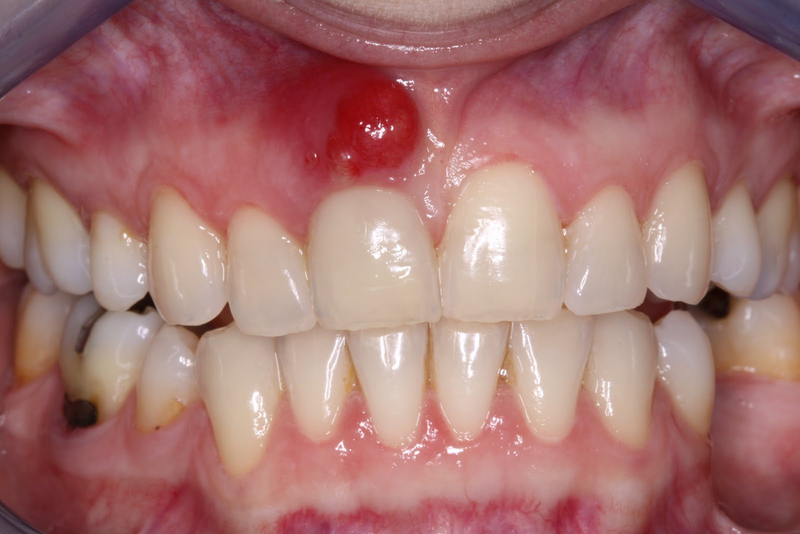 Antibiotics work really well in curing periodontal abscess. These medications help in preventing the abscess from expanding in the mouth and the surrounding tissues and thus curing the abscess in a short period of time. 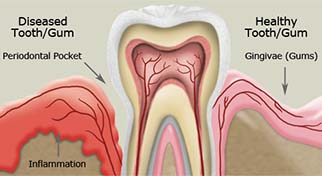 The periodontal abscess is often associated with periodontal disease. Dark field microscopy was used to determine the actual cause of the periodontal abscess and now it is known that Gram negative anaerobic rods are the dominant microbes causing the periodontal abscesses. The researches show that spirochetes are present in the amount of 30-60%. Coccoid cells are present in the periodontal abscess but in lower amounts than the spirochetes. Gram stained smear can also be used to point the specimen and create an antibiogram for the future antibiotic treatment of the periodontal abscess. 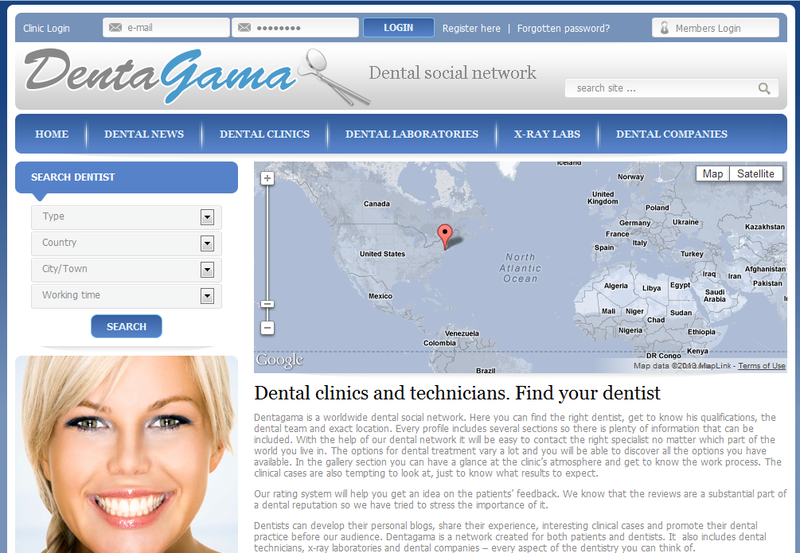 We are glad to inform you that our friends from Dentagama.com have released a brand new dental social network. It is very useful and interactive – contains profiles of dental clinics, dentists, dental technicians,x-ray laboratories and dental companies. It could be useful not only for the professionals in the dental field but for patients too. Review section is included and every profile could be rated. You can write comments and leave feedback according to the experience you’ve had there. The “follow” button will allow you to keep in touch with the particular profile and extract the needed information. Great idea! We hope it will be appreciated by the people and the professionals in the field. Best of luck to you, guys!